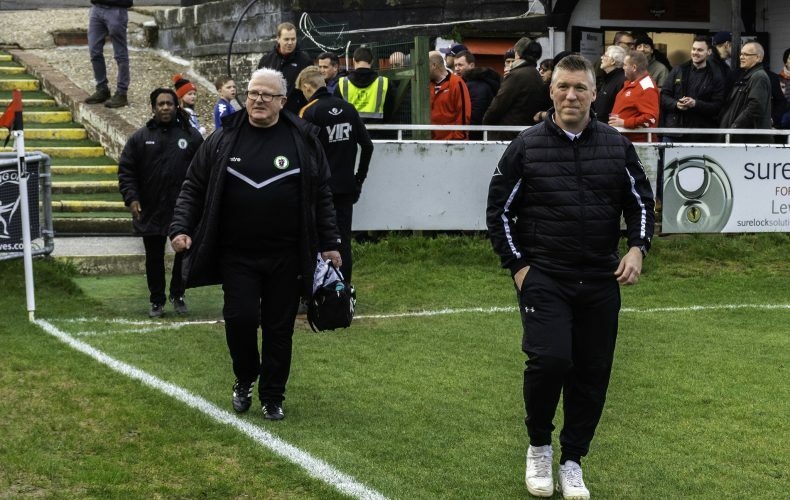 Simon Wormull and Phil Tobin at the Dripping Pan. Just three weeks since our last visit, we return to the Queen Elizabeth II Stadium. This Saturday, we make the tough trip to North London as we face Enfield Town in our Bostik Premier League clash – 3pm kick off. Simon Wormull will be hoping his side can improve upon Tuesday night’s 3-1 defeat to Harlow Town, where possession and pressure just didn’t equate to goals. The Hillians have struggled of late, picking up just two points from our previous six fixtures. Our hosts for the afternoon currently occupy 8th spot in the league, picking up six points from their previous six games. We met the Towners in the Velocity Trophy Quarter-Finals, earlier in January, which saw the hosts run out 4-1 winners. Safe journey to all you Hillians making the trip to support the club on Saturday afternoon – your continued support is massively appreciated.